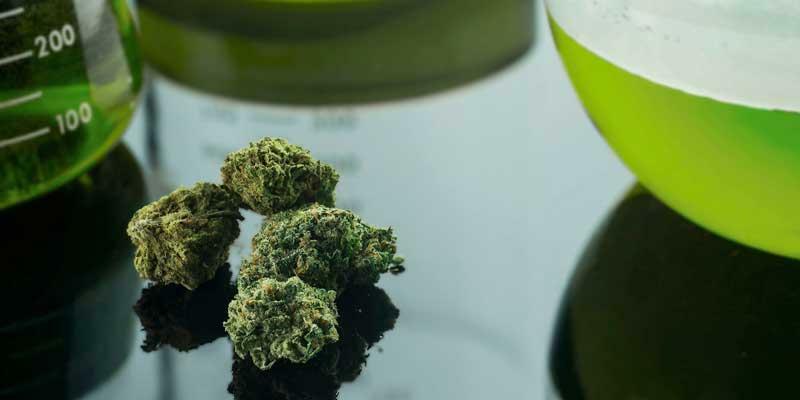 With increased state and local intervention on testing marijuana products, it is becoming increasingly more important to insure against liability and professional liability. What is professional liability? It is coverage against liability incurred as a result of errors and omissions in performing their professional services. In other words, if you are a trained professional and you make a mistake testing the product, you may be held to a higher standard. This would result in a potential professional liability claim. Labs need property insurance as well for their equipment. Theft, Fire, Smoke, Vandalism, etc can be insured against. Casualty insurance; Contractual liability insurance; General liability insurance; Insurance; Product liability insurance. Protection against financial loss arising at the premises of the insured. The key component here is that it must be at your premises. Protection against financial loss arising out of the legal liability incurred by an insured because of injury or damage resulting from the use of a covered product. Most dispensaries and grow operations do not have product liability. It is the most important coverage that can be offered and not many have the coverage? Insurance for your product as it leaves your facility is vital to the long term success of your business. It only takes one claim for bodily injury of physical damage and you could find yourself in court. And if you lose? You may have to liquidate your business and sell your license as a result. Protection against your equipment, point of sale system, inventory (harvested property), property, and many other items you may have in your dispensary resulting form coverages such as THEFT, FIRE, SMOKE, EXPLOSION, EQUIPMENT BREAKDOWN, WATER DAMAGE, VANDALISM, HAIL, WIND. A type of business interruption coverage that does not include a coinsurance clause but limits recovery to loss incurred during a specified period (typically 120 days) after the direct damage loss. Approximated by the “maximum period of indemnity coverage option” of the Insurance Services Office, Inc. (ISO), business income coverage forms (CP 00 30 and CP 00 32). Coverage for loss due to mechanical or electrical breakdown of nearly any type of equipment, including photocopiers and computers. Coverage applies to the cost to repair or replace the equipment and any other property damaged by the equipment breakdown. Resulting business income and extra expense loss is often covered as well. Equipment breakdown insurance is increasingly replacing traditional boiler and machinery (BM) insurance, in part simply because the title is more descriptive of the coverage provided. Also, today’s equipment breakdown policies typically provide slightly broader coverage than traditional BM policies, and they usually do not use the specialized terminology found in traditional BM policies. There is a big difference between defense costs inside the liability limit and outside the liability limit. A lawyer could exhaust your liability coverage and if you lose you would be responsible for paying. Defined: Duty to Defend is a term used to describe an insurer’s obligation to provide an insured with defense to claims made under a liability insurance policy. As a general rule, an insured need only establish that there is potential for coverage under a policy to give rise to the insurer’s duty to defend. Therefore, the duty to defend may exist even where coverage is in doubt and ultimately does not apply. Implicit in this rule is the principle that an insurer’s duty to defend an insured is broader than its duty to indemnify. Moreover, an insurer may owe a duty to defend its insured against a claim in which ultimately no damages are awarded, and any doubt as to whether the facts support a duty to defend is usually resolved in the insured’s favor. A type of liability coverage designed to protect traditional professionals against liability incurred as a result of errors and omissions in performing their professional services. Although there are a few exceptions most professional liability policies only cover economic or financial losses suffered by third parties, as opposed to bodily injury (BI) and property damage (PD) claims. This is because the latter two types of loss are typically covered under commercial general liability (CGL) policies. The vast majority of professional liability policies are written with claims-made coverage triggers. In addition, professional liability policies contain what are known as “shrinking limits,” meaning that unlike CGL policies (where defense costs are paid in addition to policy limits), the insurer’s payment of defense costs reduces available policy limits. Accordingly, when attempting to determine appropriate policy limits, insureds must consider the fact that because defense costs are often a high proportion of any claim settlement or judgment, they must usually purchase additional limits. The most common exclusions in professional liability policy forms are for BI, PD, and intentional/dishonest acts. A type of insurance designed to cover consumers of technology services or products. More specifically, the policies are intended to cover a variety of both liability and property losses that may result when a business engages in various electronic activities, such as selling on the Internet or collecting data within its internal electronic network. Most notably, but not exclusively, cyber and privacy policies cover a business’ liability for a data breach in which the firm’s customers’ personal information, such as Social Security or credit card numbers, is exposed or stolen by a hacker or other criminal who has gained access to the firm’s electronic network. The policies cover a variety of expenses associated with data breaches, including: notification costs, credit monitoring, costs to defend claims by state regulators, fines and penalties, and loss resulting from identity theft. In addition, the policies cover liability arising from website media content, as well as property exposures from: (a) business interruption, (b) data loss/destruction, (c) computer fraud, (d) funds transfer loss, and (e) cyber extortion. Cyber and privacy insurance is often confused with technology errors and omissions (tech E&O) insurance. In contrast to cyber and privacy insurance, tech E&O coverage is intended to protect providers of technology products and services, such as computer software and hardware manufacturers, website designers, and firms that store corporate data on an off-site basis. Nevertheless, tech E&O insurance policies do contain a number of the same insuring agreements as cyber and privacy policies.